5 page website designed just for contractors, roofers and builders. Great starter website that will work just as hard as you! 10 page website designed just for contractors, electrician, landscapers, plumbing & heating, roofers and builders in the construction industry. Great starter website that will work just as hard as you! 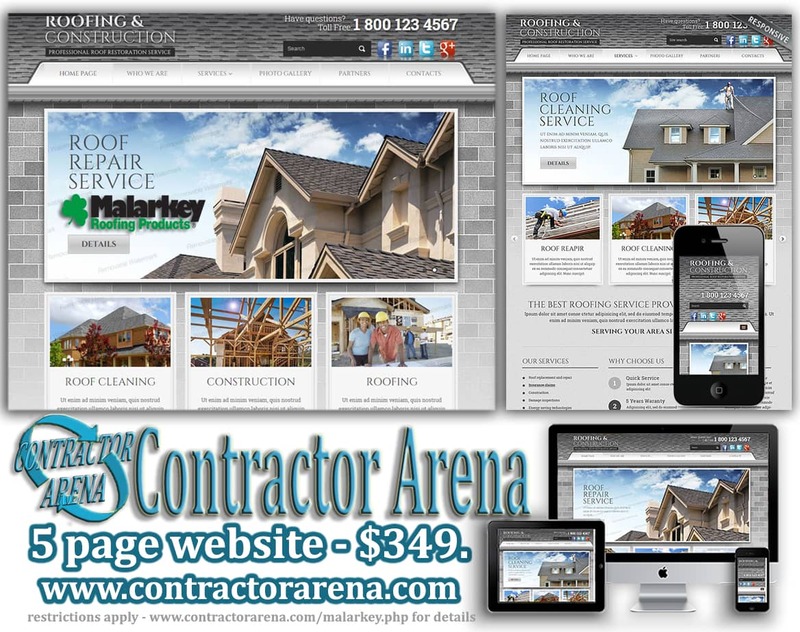 Contractors Online Marketing - contractors industry SEO services, SEO will ensure clients find your website. Great content and web design will assist in persuading prospects into clients. Ensuring the information is available at a glance is key to conversion. Branding for Contractors - Branding for builders and contractors will propel your company forward. Branding techniques designed for contractors applied to your website will enforce a professional image and create trust. 5-10 page responsive websites templates start at just $25.00. Download Today!